A packed passenger train has derailed in Cameroon, killing at least 55 people. Another 300 were injured. The casualty numbers are only provisional, and the figures may worsen. Another 14 people remained trapped in the wreckage hours later. The train was travelling between the country’s two largest cities when it left the tracks for an as-yet unknown reason, and overturned. Emergency services rushed to the scene of the accident, near the train station of Eseka, some 120 kilometres west of Yaounde. The train was especially crowded because of the collapse of a road bridge on the main highway between Yaounde and Douala, the commercial capital. 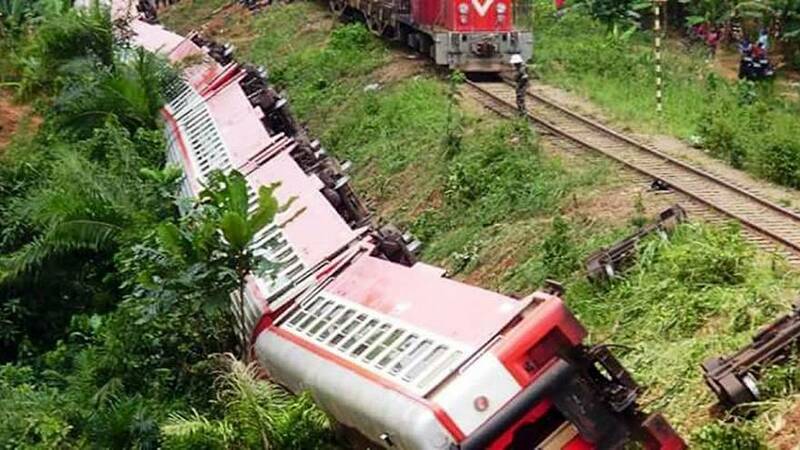 Additional wagons had been attached in Yaounde, but it is unclear if that played any part in the accident. The line is run by France’s Bollore, which has a generally good reputation, but it suffered another accident last month in Ivory Coast when part of a bridge collapsed under a freight train.